The encounter between Napoli and Liverpool is going to be a high-intensity game between two teams that can score a variety of goals from open play. Liverpool will be boosted by their performance against Paris Saint-Germain and will look to try cementing the top spot, for the time being at least. Napoli will be looking to bounce back from their goalless draw against Red Star Belgrade and require at least a point from this game to stay close to PSG and Liverpool. 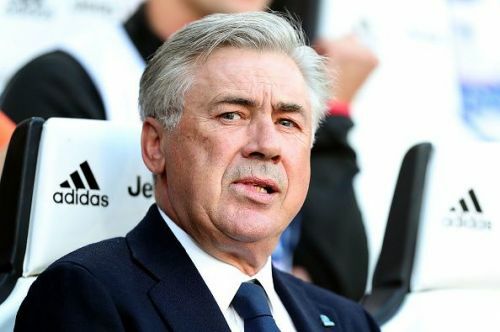 Both managers will be encouraged by their team performances domestically over the weekend although Carlo Ancelotti has more thinking to do after his team threw away an early lead and went on to lose 3-1 against an in-form Juventus team. Napoli will set up a 4-4-2 with Mertens and Insigne leading from the front. This team is heavily reliant on their frontmen's ability to draw defenders out of position with their clever movement. This allows them to drop into pockets of spaces and then play quick passes to either Zielinski or Callejon, who make clever runs infield from the wide areas and get chances if the fullbacks aren’t wary of their movement. The reason why this tactic has been effective is due to the forwards' ability to initiate the press at the opposition centre-backs, thus forcing turnovers and allowing the wide players to come into the game. Moreover, with their midfield 2 of Allan and Hamsik, they have two players who like stepping out and staying tight to the opposition midfielders. Thus the press becomes difficult to bypass although teams with a good ball playing CB have an advantage. Juve exploited this very weakness and were able to get back into the game with the help of Cristiano Ronaldo and Mario Mandzukic. One can expect Liverpool to also try doing something similar in this game if Napoli commits too many bodies forward in search of a goal. Sadio Mane or Roberto Firmino will have to drop into space right behind either Hamsik and Allan centrally and then try running at the Napoli defenders when they receive a long ball from either Centre-Back. Andrew Robertson will have to fill the space vacated on the flank by Mane and keep Hysaj thinking. 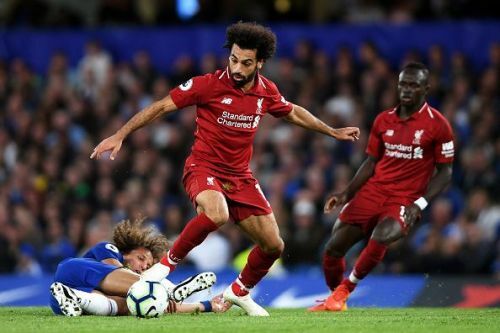 Salah is always an outlet in behind as well thus giving them plenty of options if they are able to bypass the Napoli press. Keita’s role will also be important as his energy in midfield will allow the likes of Milner to move forward and cause overloads in the wide areas. This fixture is likely to be a high scoring affair, end to end encounter with Liverpool edging Napoli. Napoli need to be wary of Liverpool’s directness on the counter and cannot afford to be reckless with their tackles. What can really give Napoli a chance although is if their home crowd gets them into it early and they are able to pin Liverpool back. In the event, this doesn’t happen and Liverpool find themselves on the front foot for most of the game , Napoli will have to ensure they don’t provide any space through the middle. Ancelloti is faced with an uphill task although his experience at the biggest stage may just set up this game perfectly for the neutral viewer. David Ospina; Elseid Hysaj, Kalidou Koulibaly, Raul Albiol, Mario Rui; Jose Callejon, Allan, Marek Hamsik, Piotr Zielinski;Lorenzo Insigne, Dries Mertens. Alisson; Trent Alexander-Arnold, Joe Gomez, Virgil Van Dijk, Andrew Robertson; James Milner, Giorginio Wjinaldum, Naby Keita; Sadio Mane, Roberto Firmino, Mohammed Salah.